Compost Facility - For more information about this facility, please contact the Water/Wastewater Department at (912) 389-3452, or call (912) 389-3467. 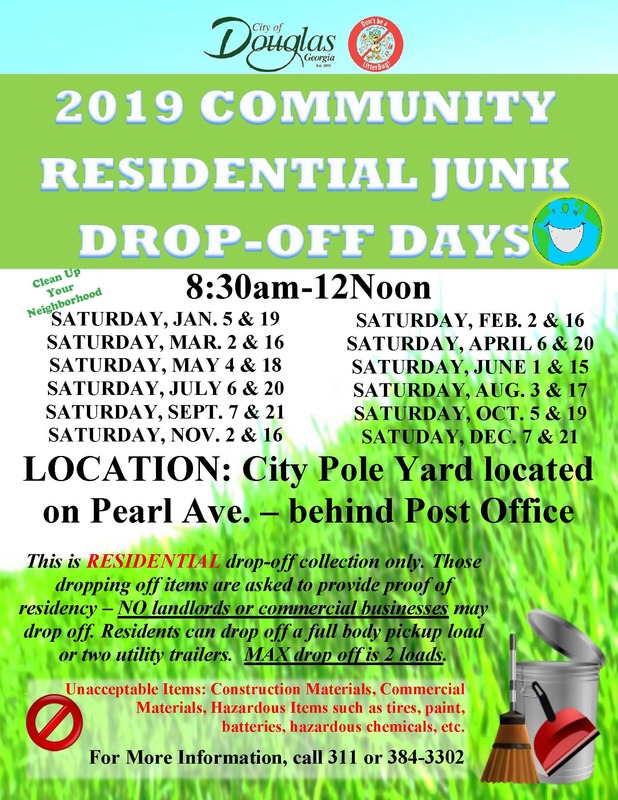 Spring Junk Free Week - This event is normally held the fourth week in April from 8:30am - 4:30pm M-F and 8:30am-12Noon Saturday, at the City Pole Yard. Douglas citizens can get rid of large, non-hazardous household items at no charge during this week. Tire Amnesty Week - Normally the fourth week in April each year, from 8:30am - 4:30pm Monday - Friday and 8:30am - 12Noon on Saturday, at the City Pole Yard. Citzens can dispose of up to 4 tires per citizen at no charge. No commerical and no farm tires. Rubber only - NO rims. 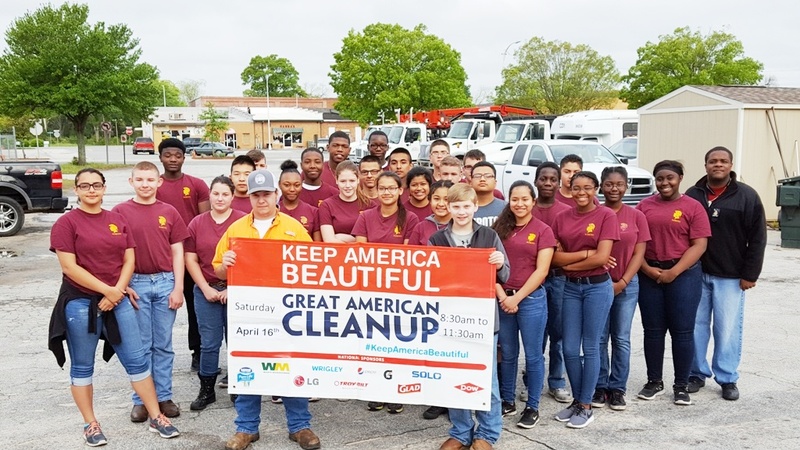 Great American Cleanup Day - The Great American Cleanup is normally the fourth Saturday in April from 9:00am - 11:30am. This program uses volunteers from programs like 4-H, Girl Scouts, and ROTC students to pick up paper and trash along streets for the beautification of the city. Individuals, churches, clubs and organizations are invited sign up to participate and earn community service hours. Participants should arrive at the Public Works Department for registration. The Great American Cleanup up will begin at 9:00am and last until 11:30am. Volunteers will be treated to a cook-out following the cleanup. Monthly Community Junk Drop Off Days - Normally on the first and third Saturdays of each month from 8:30am-12:00pm at the City Pole Yard. Acceptable brown and white good items include furniture, washing machines, refrigerators, dryers, stoves, microwaves, television, etc. Please drain all chemicals from appliances. This does not apply to hazardous chemicals such as paints/solvents, household cleaners, pesticides/herbicides, motor oil, antifreeze, batteries, or tires. Proof of residency is required to drop off items at the designated location. This is for households in the City of Douglas. Please NO business or commercial dumping. The City of Douglas wants to encourage citizens to pick up FREE compost at the City of Douglas compost site, located at 1009 Wendell Sears Road. The Compost Site is open Monday through Friday, 8:30am-11:30am and 1:30pm - 4pm. The compost is recognized by the EPA as a soil amendment comparable to potting soil that people would get at home and garden stores. It is extensively tested for bacteria and metals to ensure the safety of its users. It is safe for all garden applications and will not “burn up” plants like granular fertilizers. Composting by the City of Douglas is saving the City money and helping to keep the Earth green. 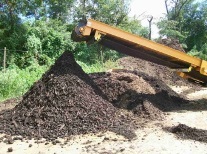 Composting is a green alternative to land filling all the bio-solid and leaf and limb waste from the City. Annually, composting keeps nearly 3,500 tons of material out of our local landfills. Also, it saves the city nearly $1 million in landfill fees and is free to the public. The site is open year round, and compost is ready for pickup, while supplies last. For more information or to schedule compost pickup, please call 912-389-3452. The Stormwater Division is responsible for installing and maintaining an adequate and functioning stormwater system including ditches, drain pipes, drop inlets, catch basins, and gutters. For more information about these programs, contact the Public Works Department at (912) 389-3450 or submit a work order.